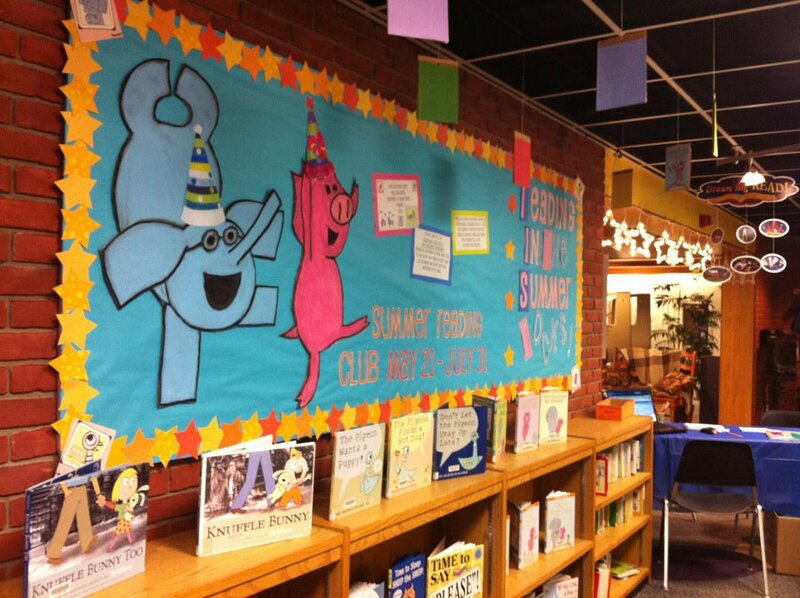 Yesterday was the first day of Summer Reading Club at my library. I'm breathing a big sigh of relief. We dug in last week and got all that last-minute stuff done, got all the copies made, all the forms run off, got everything cut apart, got a very good start on stuffing the bags the kids will receive when they sign up. My staff did good and we got it all done. Summer Reading Club is a marathon, not a sprint. We've got 10 weeks to go (70 days by the countdown app I put on my phone). But we'll take it week by week, day by day, and we'll try to have as much fun as we possibly can. In the photo, you can also see the star lights that we put up at the entrance to our department. Thinking ahead, we purchased them around the holidays and they blink and they're awesome. When we put them up on Sunday, I heard a little boy shouting "STARS!!! STARS!!!" as his family made their way down the hall toward our room. That is exactly the effect I was going for. Summer Reading Club 2012 is officially here (at my library, anyway). So, it's begun.